These four new quality houses were designed by Lilly Lewarne for a wooded site on the outskirts of Truro, nestled between two listed buildings. The design of each individual dwelling has responded to and worked with the existing topography of the site, 3 of the houses will be of a split level in nature so as to reflect the level changes locally to them. All 4 houses are unique in design however the site has been considered as a whole with the same palette of natural materials used throughout. The largest house design has influences taken from the existing dwellings opposite, with an agricultural / courtyard experience, reflecting the character of its setting. 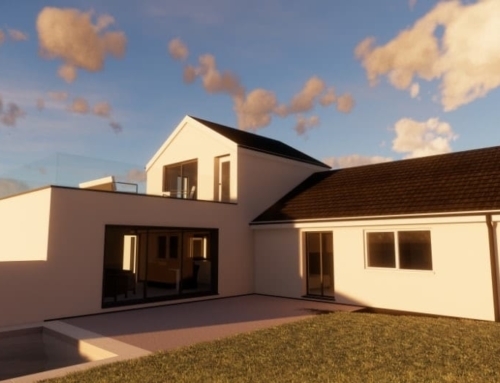 The overall aim was to provide quality traditional homes within walking distance of Truro City Centre combining fine detailing with home comforts.